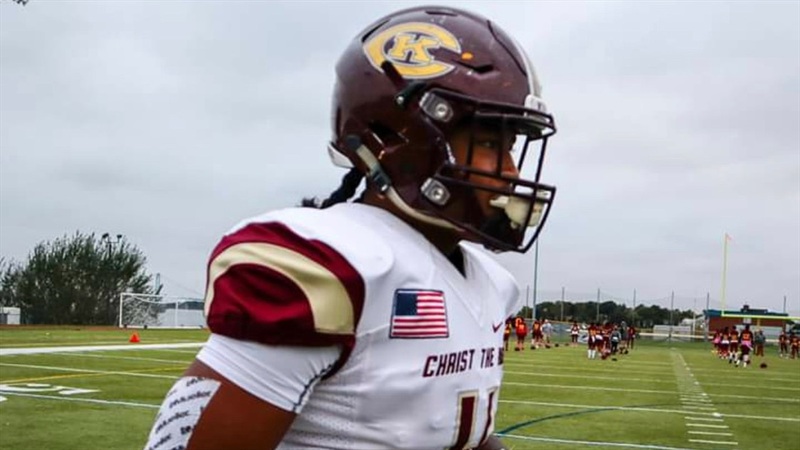 Tirek Murphy Jr.‍ is getting busy preparing for his senior season at Christ The King while college coaches are looking even further down the road toward the 2020 New York running back’s career at the next level. The 6-foot, 193-pounder already has offers from schools like Syracuse, Rutgers, Boston College, Pittsburgh, Duke, LSU, Michigan, Tennessee and Texas A&M among others. He’s also heard from other schools, including Miami and South Carolina. Murphy had been talking with former Notre Dame running back coach Autry Denson consistently and despite his shock at learning Denson had left to take the head coaching job at Charleston Southern, said Denson’s departure won’t impact him much. The talented junior saw the Irish beat Syracuse in Yankee Stadium back in November and said he is currently working on setting up a trip to South Bend. He’s also looking at trips to Alabama, Clemson and LSU. Michigan figures to be in the mix until the end, especially now that his former Boston College recruiter, Anthony Campanile, is on staff in Ann Arbor. Christ The King began team workouts and meetings recently, but Murphy’s personal workouts had already been well underway. “I want to win a state championship my senior year,” he said. “That’s my main goal right now. I’m not really worried about myself too much. I’m just focused on my team.